In life, there's nothing more gratifying than helping people. In 2011, we were delighted to help hearing impaired people enjoy movies, concerts and other public presentations through the relatively simple installation of hearing loop systems. The reaction, from both clients and their patrons or clientele, has been so rewarding that we decided to make hearing loops a focus for our business in 2012. Shanahan is the first authorized reseller and installer of hearing loop systems in New England. We have completed installations in schools, assisted living facilities and retirement communities through Massachusetts. In 2012, we've begun to add colleges and universities, houses of worship, public facilities and corporations to our list of hearing loop clients as well. Find out more about hearing loops and download our new white paper. We are excited to unveil a website dedicated to hearing loops at www.newenglandhearingloop.com. As always, I welcome your comments, thoughts, and suggestions. 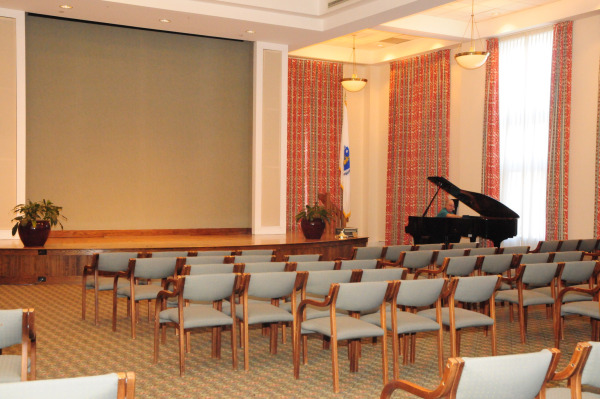 Fox Hill Village, a continuing care retirement community in Westwood, MA, discovered that many of their residents weren't coming to movies in the 200-seat auditorium because they simply couldn't hear the presentation. Some enterprising residents researched possible solutions and learned about hearing loops - a system in which an industive wire loop transmits sound signals from a microphone, speaker or public address system directly to telecoil-equipped hearing aids or cochlear implants. Bob Kelly, Director of Resident Services at Fox Hill, wanted to find a local source to design and install a hearing loop system to help hearing impaired residents enjoy community presentations. "Shanahan was our original audio visual company twelve years ago. I was so pleased to discover that we could use them for our hearing loop installation, " he comments. Shanahan installed the hearing loop system under the rug in the auditorium and the system premiered to a great response. "People could hear much better," says Bob. 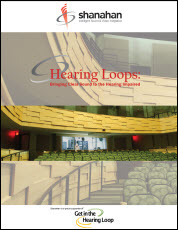 The success of Fox Hill's and other hearing loop projects has prompted Shanahan to write a white paper to provide basic information on hearing loops and their installation. 2011 was a great year and we're expecting 2012 to be even stronger. Shanahan is looking for qualified technicians to join our team!